The holidays are in the air, and many people are bustling about to prepare for the season and taking vacations from work. But not us (*wink). Over the next few weeks, I want to ask you for a favor. In support of our efforts to foster a love of reading and history in the children of our community, will you tell someone about us? Share these blogs. Tell your friends and family about our website and encourage them to support us! And in return, each week, I am going to share something special with all of you! 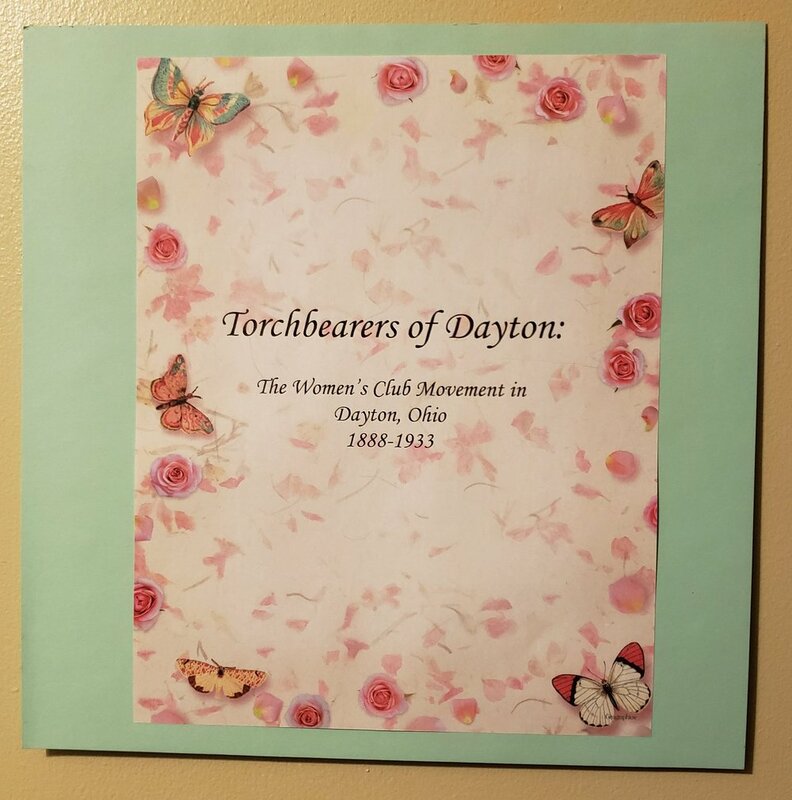 12 years ago, I designed an exhibit about the Women’s Club Movement for the Wright State University Special Collections and Archives. Using all images from the WSU archives, I told the story I was uncovering about the network of women empowering one another to do great things in Dayton. I was so proud of that exhibit. So much so, that I created a scrapbook about the exhibit. And that is the something special I want to share with you. I’ll be sharing photos weekly from the pages of this memory exhibit, so don’t miss it! And don’t forget to share with someone you know! The images shared are courtesy of myself and the Wright State University Special Collections and Archives. I hope you enjoy!